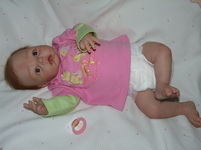 Baby Julia (Faith by Heather Boneham) has been adopted and is now living with her new family in Germany. Bye, bye, Little One!! 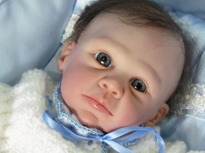 Baby Mathias (Trey by Michelle Fagan) has been adopted and is now living with his new family in Switzerland. 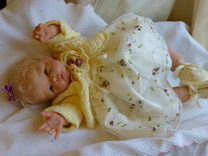 Baby Maria Madalena (Audrey by Adrie Stoete) was a custom order. She is now living with her family in Portugal. Baby Laura (Morgan by Aleina Peterson) has been adopted and is now living with her new family in the USA. Baby Luna (Faith by Heather Boneham) has been adopted and is now living with her new family in the USA. Baby Julia (Luca by Elly Knoops) was a custom order. She is living with her new family in the Azores Island, Portugal. Baby Tim (Andrea by Linde Scherer) has been adopted and is living with his new family in the USA. I will miss you, little guy! Baby Isabella (Shyann by Aleina Peterson) has been adopted and is now living with her new family in Portugal. has been adopted and is now living with her new family in Portugal. 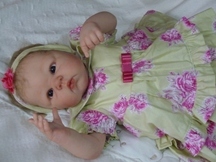 Baby Maria Madalena (Audrey by Adrie Stoete) was a custom order and is now living with her new family in Portugal. 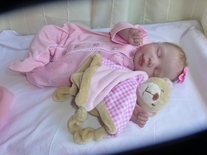 Baby Clara (Melody by Adrie Stoete) has been adopted and is now living in the UK with her new family. 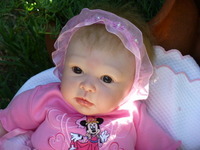 Baby Beatriz (Bethany by Linda Murray) was a custom order and is now living with her new family in Portugal. 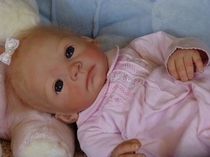 Baby Anne (Vivien by Evelina Wosnjuk) has been adopted and is now living with her new family in Portugal. 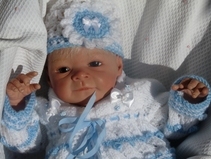 Baby Victoria (Victoria by Sheila Michael) was a custom order and is now living with her new family in the UK..
Baby Joshua (Jody by Linda Murray) has been adopted and is now living with his new family in Portugal. 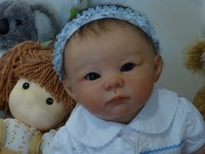 Baby Rebecca (Faith by Heather Boneham) has been adopted and is now living with her new family in Portugal. Baby Victoria (Victoria by Sheila Michael) was a custom order. She is now living with her new family in Portugal. .
Baby Estelle (Estelle by Evelina Wosnjuk) has been adopted and is now living with her new family in Portugal. 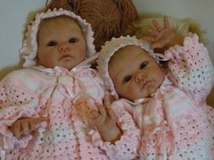 The twins (Jill by Adrie Stoete) were a custom order and are now living with their new family in Portugal. 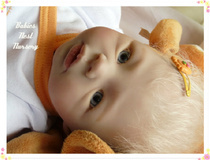 Baby Carolina (Paris by Adrie Stoete) was a custom order and is now living with her new family in Portugal.